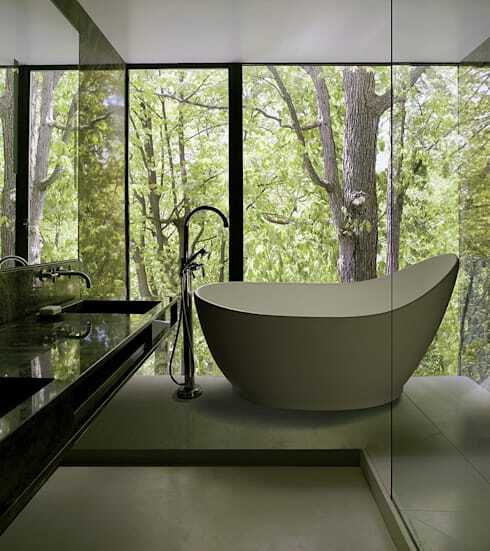 This Canadian bath supplier knows a beautiful bathtub. 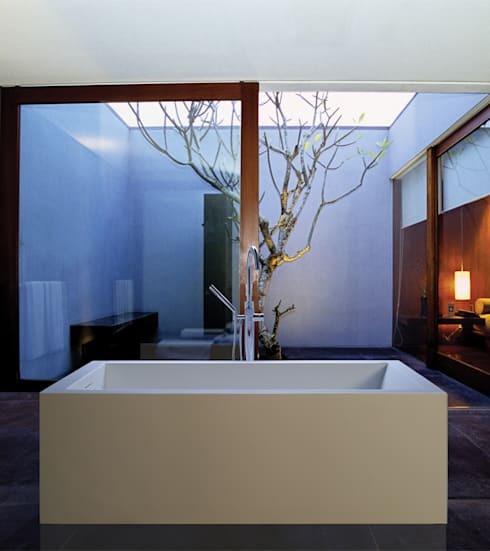 Though the bathtub is used less often than the shower, it is the visual focal point of the bathroom. It's also a big investment, in your ability to relax and soothe sore muscles or an aching heart. 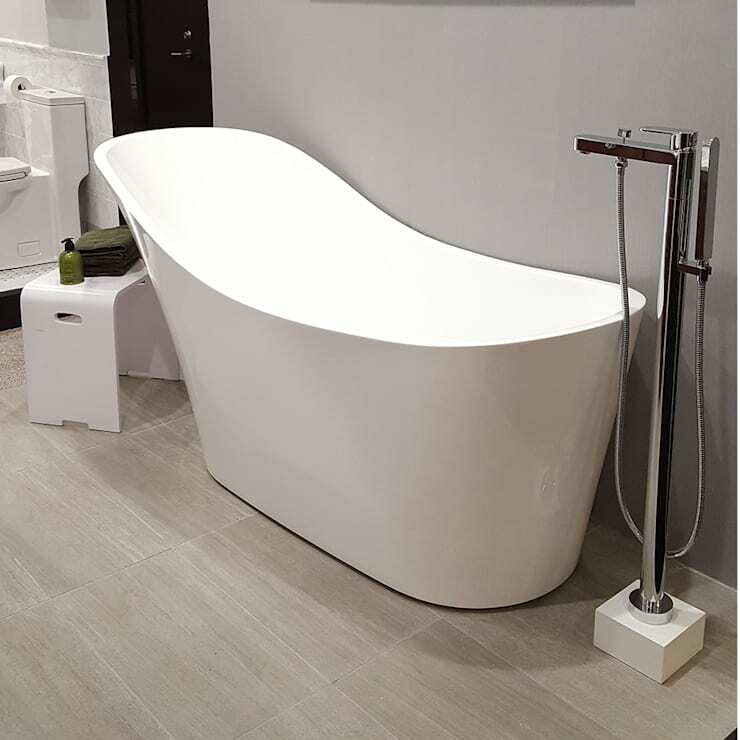 So, you certainly want a tub that will provide you with comfort, and which will contribute to the overall atmosphere of the bathroom. You can go for luxurious, contemporary, practical, natural, or some combination of them. Here are some amazing options from Serenity Tubs you'll want to consider. 1. 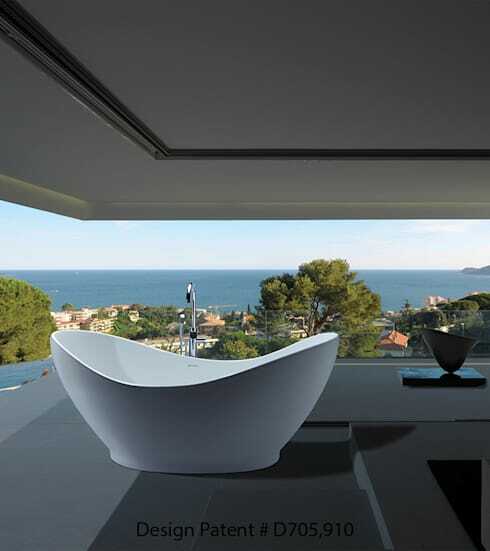 Freestanding is the best tub to choose for luxurious feel. Like this one, they are often shaped to perfectly support you in the bath, and they add an exquisite feel to the bathroom overall. 2. A square bath feels more contemporary than the traditional curved baths. This one has a wall-mounted tap to allow for more space. 3. Ever though of putting a tub in the center of the room? It may take some getting used to, but the advantages are having the spout in the middle of the tub and arranging side tables around it to hold candles or a glass of wine. 4. Our first practical tab keeps towels and face cloths close at hand, with convenient storage that doesn't require a door-- which would be hard to open when you're in the tub. 5. With a wall mounted faucet you can have fresh hot water in the center of a tub, even if it can't be free-standing. 6. This is the perfect tub for two, with back support on both sides. Or, if you just like to alternate views, one person could enjoy this tub too. 7. 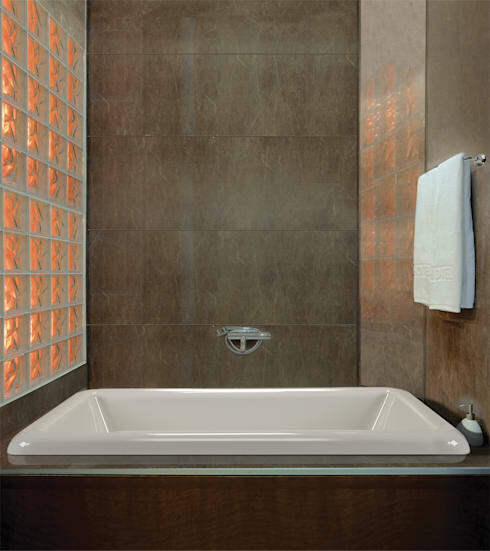 For smaller bathrooms that still want a luxurious feel this very deep, but comparatively short, tub is the perfect fit. The perfect style for these luxurious tubs is classic. Here's how to create classic style, with modern touches, in your home.